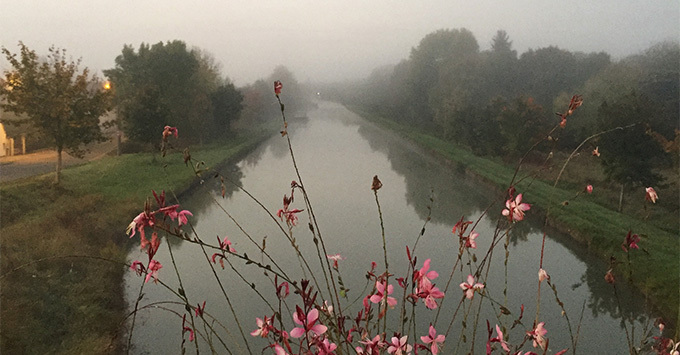 (11 a.m. EDT) -- Looking to experience the French countryside by boat in an up-close and intimate way? It's hard to get smaller than a barge cruise. Barge (or canal) cruises are a niche market within cruising. With boats that carry between 22 to six people, these cruises travel slowly, often no faster than 4 miles per hour. Instead of the marquee cities that you find on river cruises, canal cruising is more about small towns and villages, often so small that you are the main attraction. And while other destinations such as the U.K. have canal cruising, you will find the most choices in France, offered by companies such as French Country Waterways, European Waterways and CroisiEurope (For more specifics on barge cruising overall, check out our Canal Cruise Tips). We're onboard CroisiEurope's Deborah, a 22-passenger ship built from scratch in 2016. It's one of six canal vessels the company runs in France, on canals in Provence, Champagne, Burgundy, the Loire and Alsace. Our cruise on the Upper Loire Canal is stopping in small towns that we only know from French wine bottles, such as Sancerre and Pouilly. Although we're experienced our fair share of river cruises, this marks our first barge voyage -- and we think it might be hard to go back! Since CroisiEurope is a French company, we didn't know what to expect from our cruisemates; for all we knew, we were going to be the only English speakers onboard. No worries. Although French speakers make up the majority on its river cruises, the line tries to make sure there are enough English speakers onboard each sailing so passengers don't feel isolated. That might mean there aren't as many choices in terms of departure dates for booking. But trust us -- you're better off traveling during a second-choice week than being onboard with no one to talk to. Our sailing has six Americans, two British and one Australian passengers, as well as two Swiss and six French onboard. While it helps if you speak another language -- two of the Americans are fluent in French, while we're finding our German helps out with the Swiss -- you'd be surprised at how well you can get along, even if you don't speak the same language. All announcements and excursions are done in both languages, and the entire staff is impressively bilingual. The 11 cabins, too, may be compact, but boast smart space-saving features such as drawers above the bed and cubbies behind your head that have electric and USB ports. While the bathroom is small, as you might expect, more square footage within the room is giving over to the shower, so you do have room to turn around. It even has a folding glass door! (That's a nice change from small expedition and sailing ships we've been on, where the shower is essentially over the toilet). As befits the region where we're sailing, the excursions are quiet explorations of French life, such as visit to a goat cheese farm or stop to a Sauvignon Blanc vineyard, as opposed to major tourist sites. All are included in the fare. If you're an experienced traveler who has been to Europe frequently and wants a peek at small-town life, it's perfect. If you're someone who still has a long way to go on your European bucket list, the itinerary might be too quiet. On Deborah, passengers return to the ship around noon for a welcome cocktail made with liqueurs such as blackberry. Lunch begins at 12:30 p.m. and it can go on for nearly two hours. In France, the midday meal is the longest, and CroisiEurope follows the tradition. Expect a starter of two cold salads, followed by a hearty entree such as veal, lamb or pork. An impressive cheese course comes next -- more on that followed below -- and THEN there's dessert. Meanwhile, French wines flow the entire time (and they are good, with a new varietal at every meal). You roll out of the dining room in a food coma that even a good cup of French espresso can't cure. Deborah's cheese courses are something to behold. Coming after the entree and served with a green salad as a palate cleanser, these cheeses will make anything you've picked up at Trader Joe's look insignificant (and because some are unpasteurized, you can't even find them in the United States). The French take their cheese very seriously, and have appellations for them, just like wine. Among those we've tried: Sainte-Maure de Touraine, a goat cheese held together with a straw that's been rolled in wood ash; and Langre, an orange washed rind cheese that is served with schnapps poured on top. 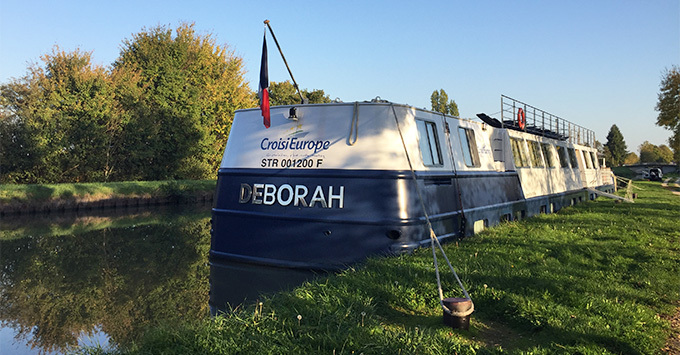 A note about Deborah and other French barge cruises: If you are lactose intolerant or don't enjoy wine, you'll definitely feel out of place, as the French food and drink isn't just a side attraction on the sailings, it's a main event. As with all CroisiEurope vessels, the meals on Deborah are fixed and while you can make substitutions if you have food allergies, are vegetarian or don't eat a certain meat, you aren't offered a menu with choices. We suggest that picky eaters go elsewhere. After lunch, the main event on Deborah is cruising the canals and locks. The ship has no official enrichment or entertainment program, so prepare to spend your afternoons reading, napping or conversing with other passengers. 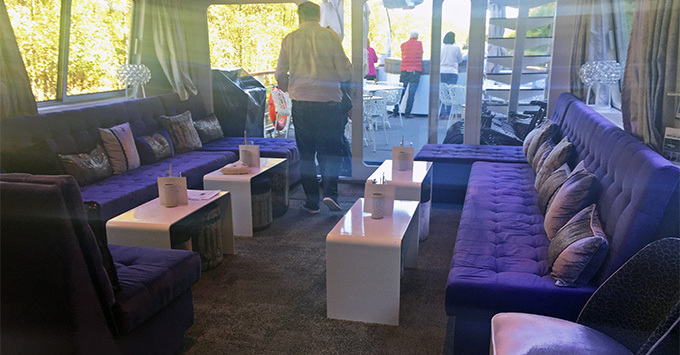 We usually snagged a seat on Deborah's outdoor patio, soaking in the mid-October sun and country scenery. Note that because bridges are low, the top deck on your barge might not be open. The ship usually docked at the next town between 5:30 and 6 p.m., giving passengers the chance to wander around. Most "ports" aren't big enough to do much sightseeing, and by the time you get there, everything is closed. Still, we felt the need to get out and walk as much as we could before dinner at 7:30 p.m. -- another wine-laden, three-course affair, although not as heavy as lunch. If we have one complaint for Deborah, it's that we don't have enough opportunities to burn off all that wine and cheese we're consuming. Although our original itinerary said we'd be able to bike between locks, the ship's managers stopped passengers from doing it this year because the path along the canal is bumpy and not up to snuff (info is changed in the just-released brochure). While you can bike, it's only for an hour or two after you dock and before dinner. Inactivity and lengthy meals with wine can be a potent combination: bring plenty of Antacid.